I think turning point was May 25. I made a decent profit on XAUUSD trade. When I exited from the position not because the price reached to the target level, but because the wave looked weak and I started to anticipate a reversal. 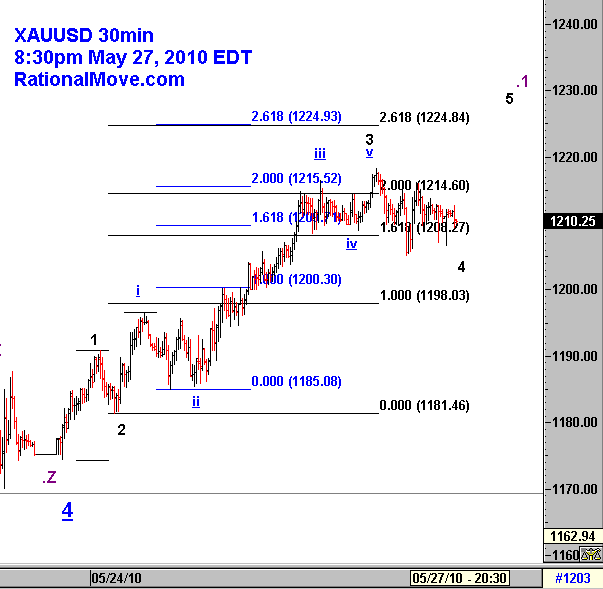 This concern turned out to be a false alarm and gold continued to rally over $1214. I was a bit frustrated to miss 50% of the gold’s rally, and tried to get the last squeeze of the juice after the blue underlined iv wave. 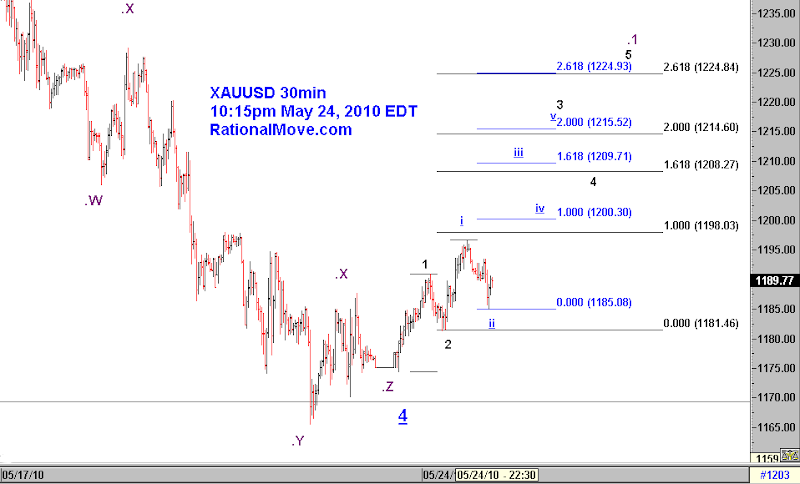 I was right and gold rallied, but the rally was short and I was peacefully sleeping during the European session. I missed the top, and eventually was stopped out with 0.88% loss. The last EURUSD and AUDJPY loss trades were byproducts of the emotional swirl from gold trade. Thanks to Rational Move Risk Control spreadsheet, I kept betting smaller and smaller, so my drawdown has been very manageable. So, I can think about the next move with the calm mind. 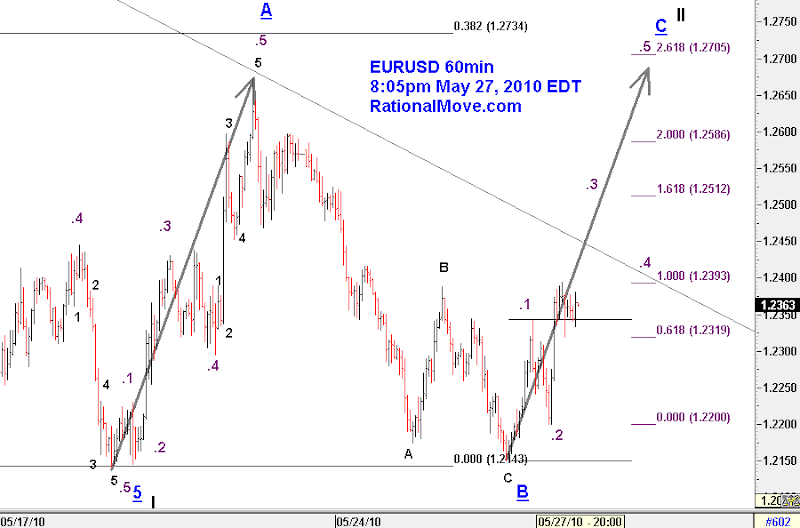 EURUSD barely defended 1.2141 line, and the bullish Elliott wave count from the last post is still surviving with a minor tweak. I just bought a half of what I intended to buy, and I will buy when I get more edge. For the actual entry price and stop loss levels, please refer to the new page to show my up-to-date open positions and pending orders. I created this page as yet another effort to keep my thought process and position crystal clear to reader and to myself. I need to be accountable on each of my trades. 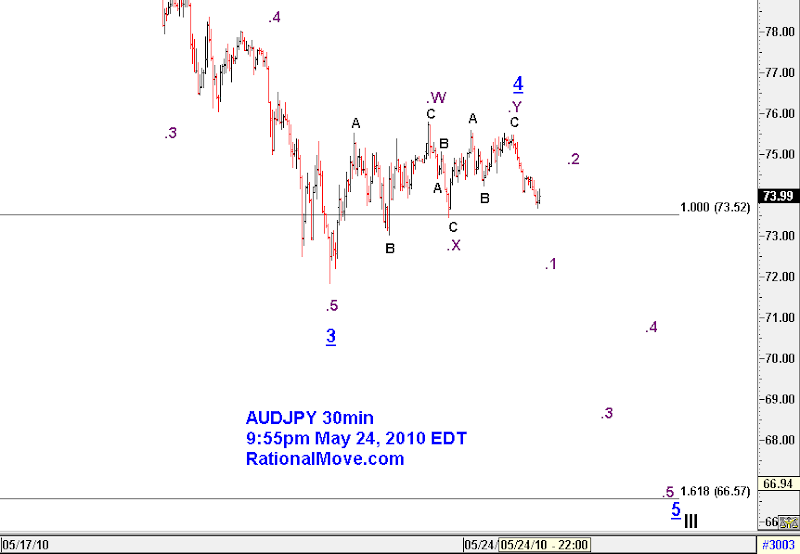 (c) For the reason of (b), I should be able to capture an opportunity to re-enter short AUDJPY position. No need to hurry. I also exited from short term gold long position. Although the price level is going higher, the metal is rather getting many obstacles in crawling up for now. 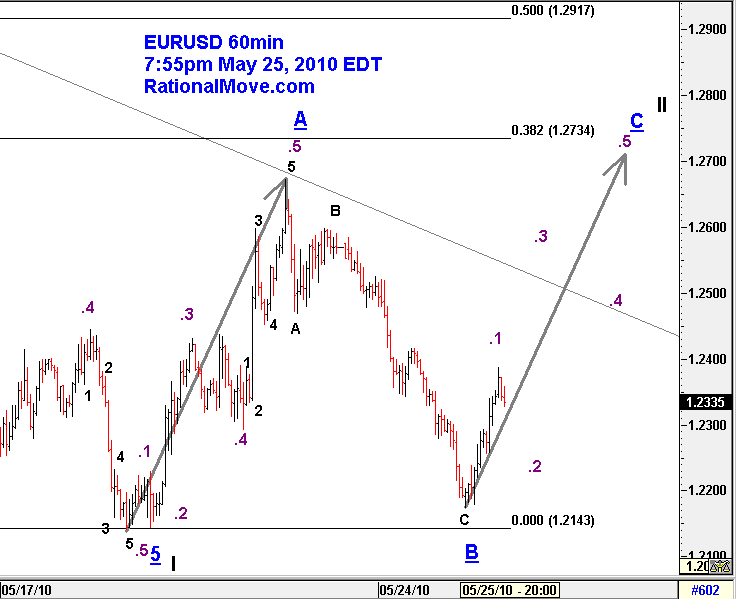 In other words, I cannot count an impulse wave from the current move up. So, I am careful. As always, I will wait for a pull back, and set a stop order to enter the market once the risk is defined.